Dr. Garry Conille is a graduate of College Canado Haitien. He also studied at the Faculty of Medicine and Pharmacy of the UEH in Haiti and at the University of North Carolina in the United States. 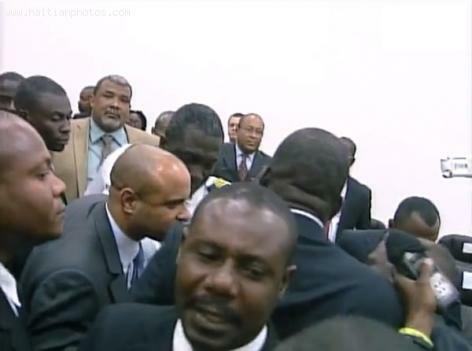 This is the former Prime Minister of Haiti, Robert Malval. He was born on July 11, 1943 in Port-au-Prince and became prime minister from August 30, 1993 to November 8, 1994. Here is a picture of former Haitian Prime Minister, Jean Marie Chérestal. 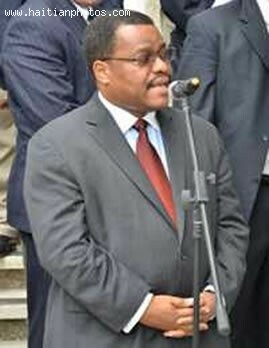 He was Prime Minister of Haïti From March 2, 2001 To January 21, 2002. He was born on October 19, 1940 and became Prime Minister for short period of time. One thing that was very noticeable about Rosny Smarth was that he resigned from his position, leaving the post vacant for nearly two years. The Minister charged to manage relations between the Parliament and Executive, Ralph Theano was ordered to leave the Chamber by President Jean Tholbert Alexis. This was the result of problems between the Minister and some members of PRI, a block in opposition to the government at the Chamber of Deputy. Jean-Jacques Dessalines Michel Cincinnatus Leconte (born September 29, 1854) was the Haitian President between (August 1911 until his death on 8 August 1912). He was the son of Cinna Leconte and Florelia Raphael and the great grandson of the Jean-Jacques Dessalines, the founding father of Haiti and the autocratic first ruler of an independent Haiti under the 1801 constitution. Cincinnatus Leconte was a lawyer by profession who served as the Minister of the Interior to the President Pierre Nord Alexis. 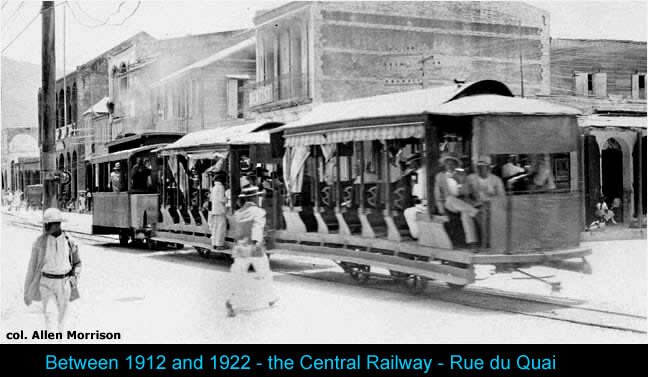 In 1908, when a revolt deposed Alexis, he went into exile in Jamaica and C. Antoine Simon became the President. He came back from exile in 1911 and gathered a rebellion force that ousted President Simon and on August 7, 1911, Leconte unanimously became the President for a seven year term with a set salary of $24,000 a year. His presidency is often considered as one of the efficient and cleanest government that Haiti ever had. He took many positive steps and numerous reforms. He increased teachers' pay, paved the streets, installed telephone lines, reduced the size of the army, etc., and they are only a few to name. He introduced a controversial discriminatory policy targeting "Syrian" population (actually most of them were Lebanese Christians) to protect Haitians from disloyal competition of the Easterners with uncertain nationality. 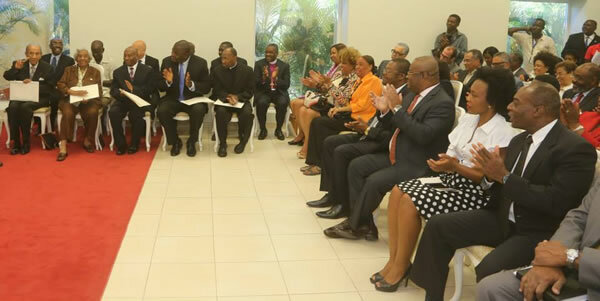 Here is a picture of the Commission consultative to President Michel Martelly with the responsibility to review all the propositions and to make a final recommendation to the president. Martelly appeared on a nation-wide broadcast to speak about the situation, confronting the country. He said he has tried to make concessions in talks with several political groups. But currently he has appointed an 11-member Consultative Commission to aggregate the past two months' worth of political consultations and make recommendations. Evans Paul of Konvansyon Inite Demokratik feels the Commission will fulfill its obligations in a fair manner. But Serge Jean Louis of opposition party MOPOD says, "This Commission is a joke, made up of people, most of whom are close to the government and schemers . 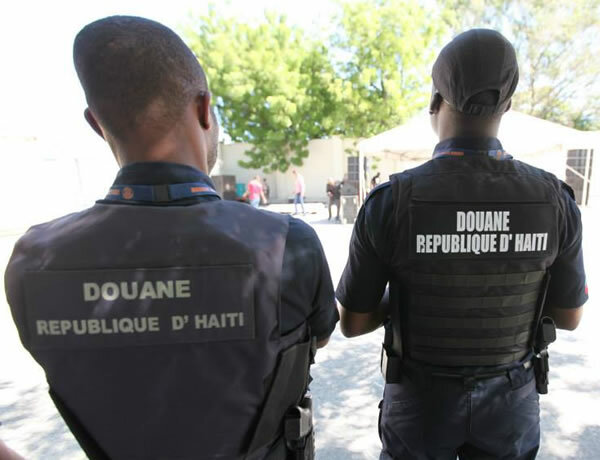 . ."
The government of Haiti is counting a great deal on the improvement of the General Administration of Custom (Douane) to increase its income in order to provide more and better services to the population. Haiti's General Administration of Customs (AGD) brought in a reported 2.4 billion gourdes in revenue at last count. The massive score came mainly from the collection of customs on articles such as vehicles which carry tariff rates of between 5- and 10%. Operating out of 17 different offices, located throughout Haiti, the AGD supplies tax information as swell as info on the rules of imports and exports, information on tariff fees, working with customs and the procedure for sending merchandise.